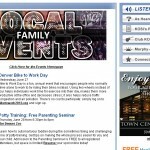 No one knows your kids like you do, but sometimes you need a quick tip, a new idea and maybe a little support to get past the fussing and on to the laughing, growing, learning and living. 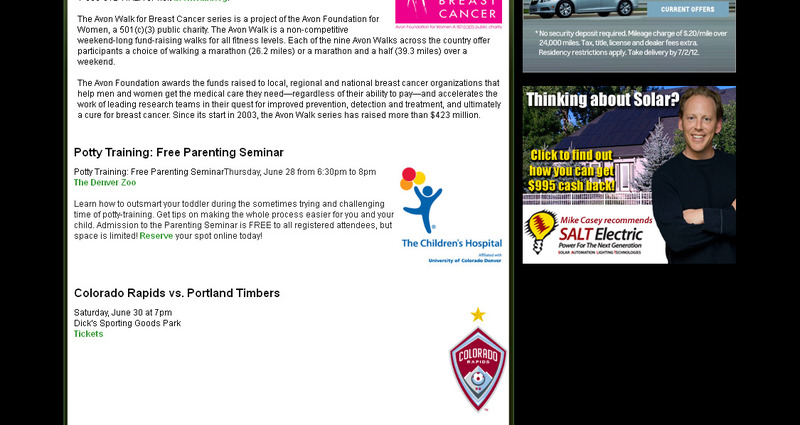 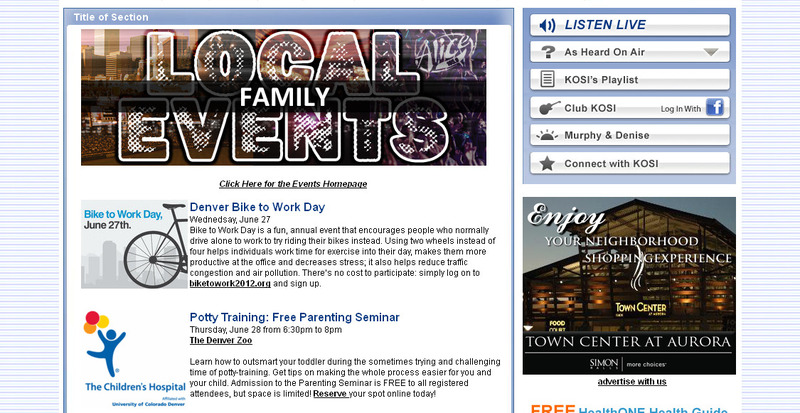 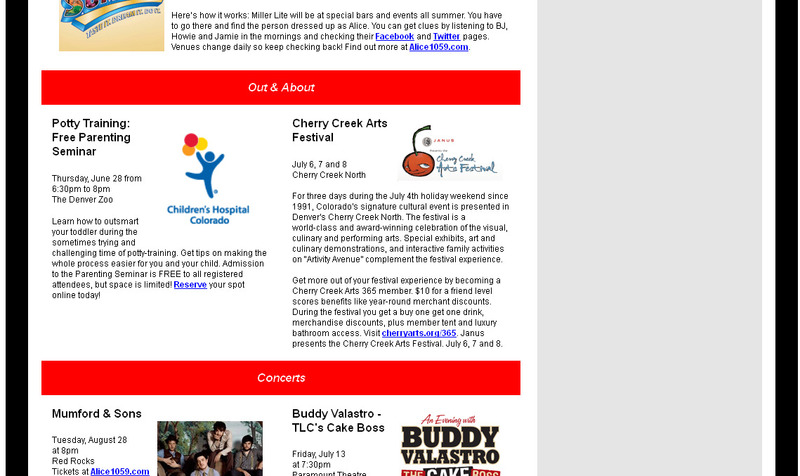 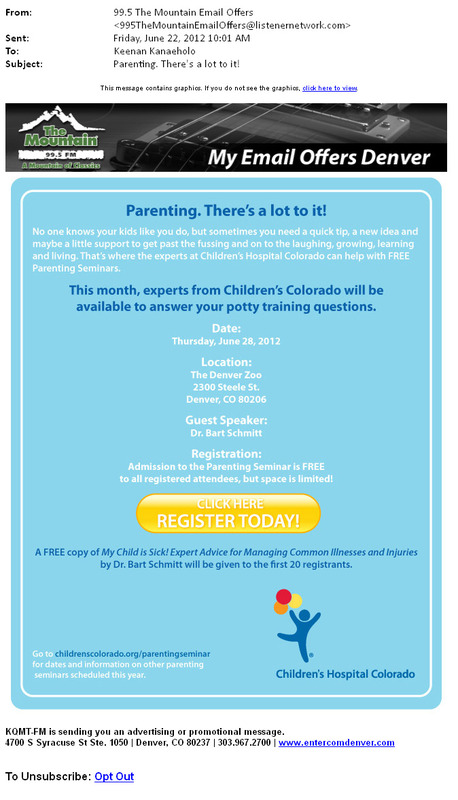 That’s where the experts at Children’s Colorado can help with FREE Parenting Seminars! 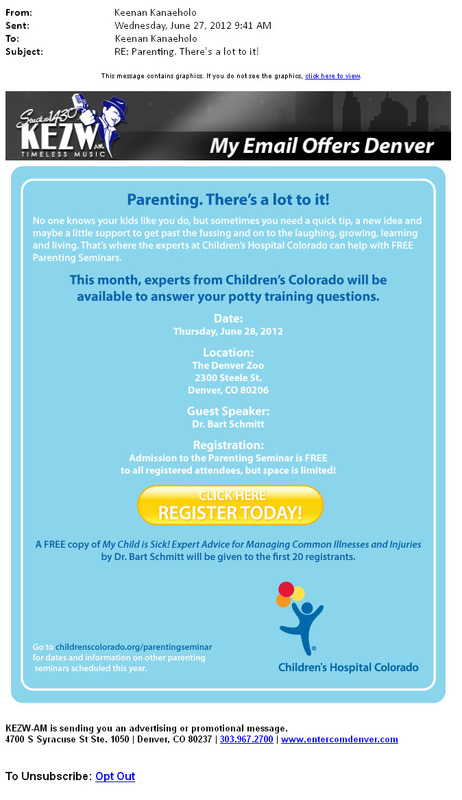 Learn how to outsmart your toddler during the sometimes trying and challenging time of potty-training. 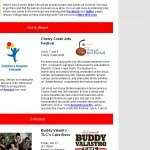 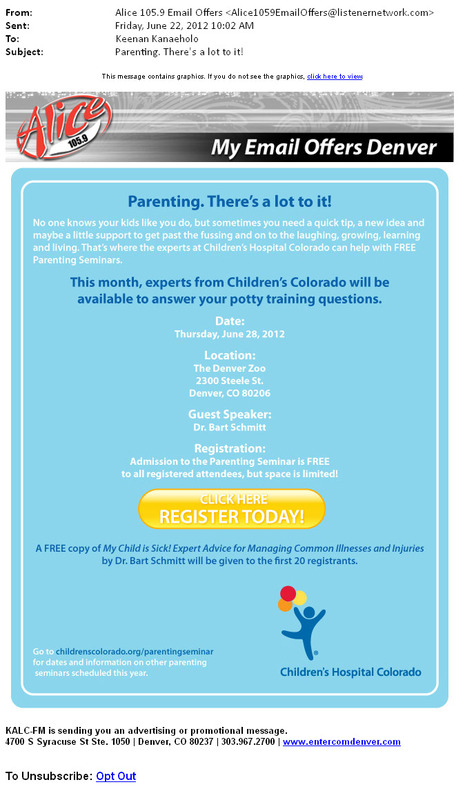 Get tips on making the whole process easier for you and your child. 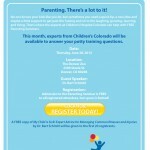 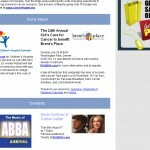 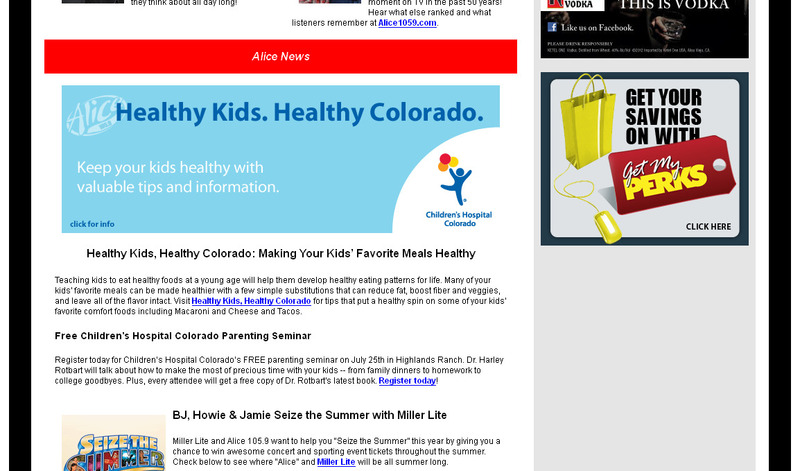 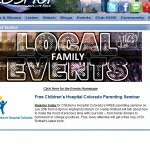 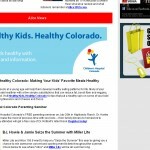 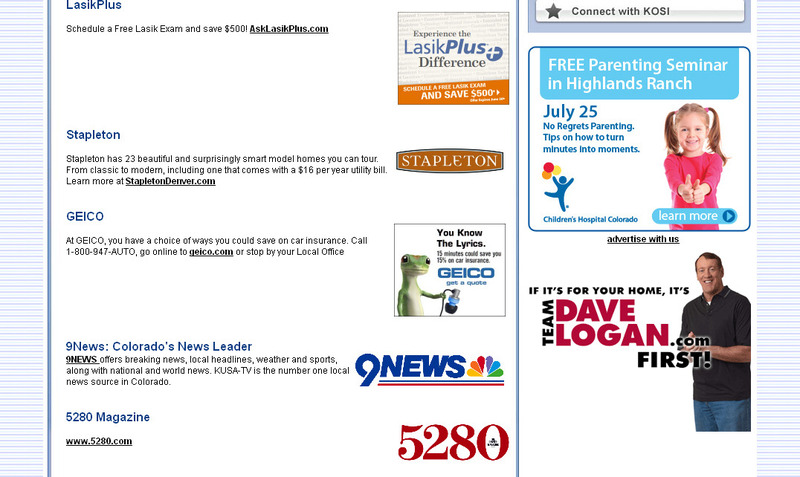 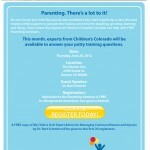 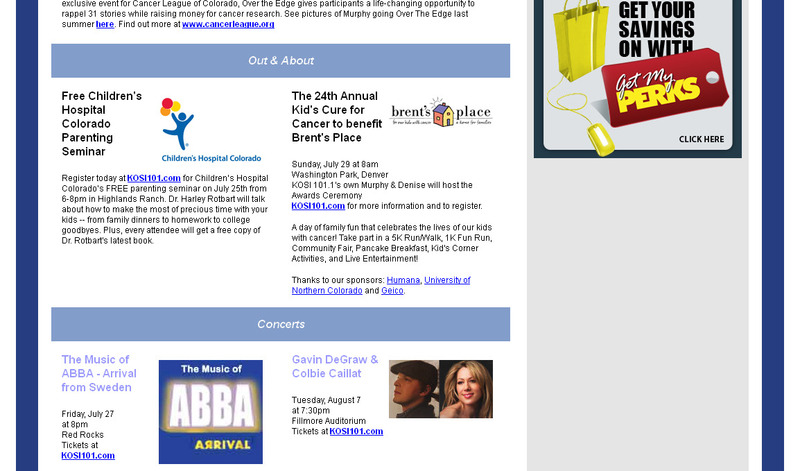 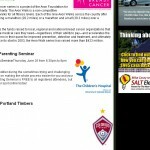 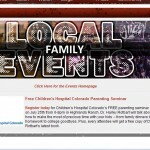 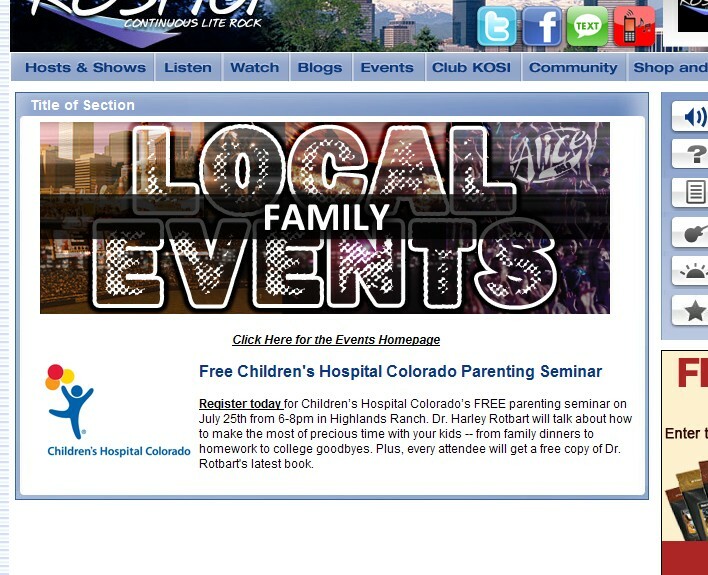 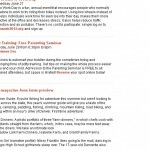 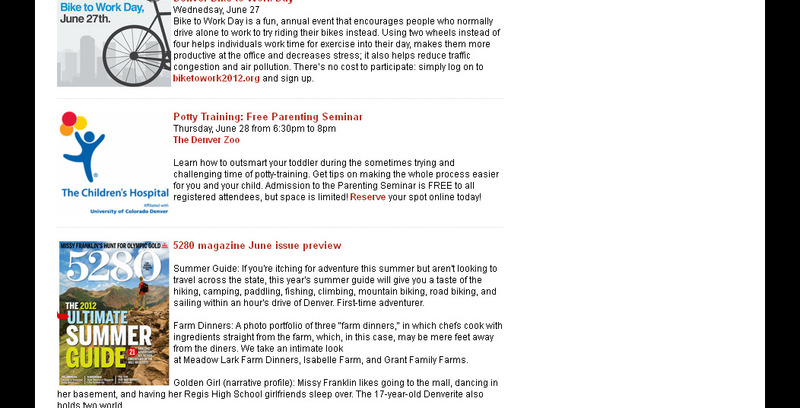 Register today for Children’s Hospital Colorado’s FREE parenting seminar on July 25th in Highlands Ranch. 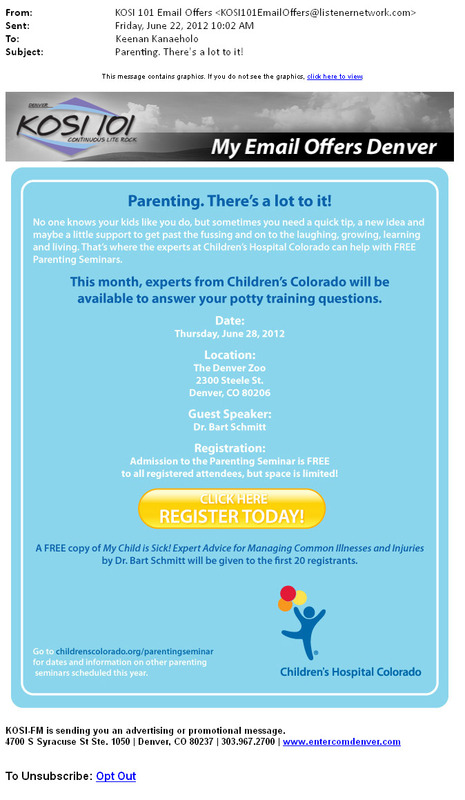 Dr. Harley Rotbart will talk about how to make the most of precious time with your kids — from family dinners to homework to college goodbyes. 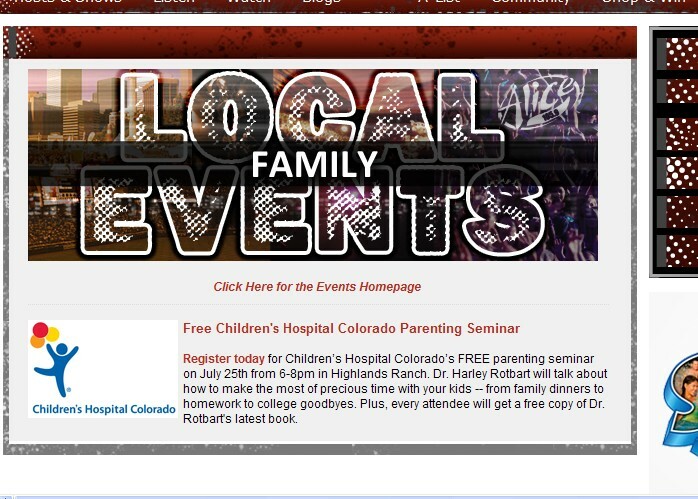 Plus, every attendee will get a free copy of Dr. Rotbart’s latest book.